Check the first page to know everything about the improved Mini Game mode! Please let me know what do you think about it! Cool. Does it come with the original game or is it a separate download? It'll come together with the complete version of the game, you can choose the mini game mode in the title screen, along with the New Game, Continue and etc. I'm a little confused. You said "OR you can start by playing the mini game before and stay with a lot of questions in your mind that will only be answered when you play the main game." But you can only play it when you FINISH the main game with a ranking of A or B. How can you play the mini game "before" playing the main game, then? The "OR" means that you can play first whatever you like to, the NEW GAME option and the MINI GAME option are open in the Title Menu, I said that just to inform that you can play the mini game before, but you'll only fully understand it's story if you finish the main game, but nothing impedes you to play the mini game before the main game. If you do that, a lot (ok, not that lot) of questions will come to your mind and they'll be answered when you play the main game. I'll fix that part in the first post to be more clear. Helvetios is very close to be finished and I need your help! I need THREE of you to beta test it when finished and ONE to beta test and correct all the spelling errors. If it is of your interest, please post here and I'll be selecting the beta testers. - NO, the game isn't complete yet. I'm just antecipating this to things flow better in the future. - The three who will just test the game engine don't need to check the spelling errors, they'll just test if the game is flowing, the bugs and if it is too hard. - The one who will correct the spelling errors must REALLY check every single text of the game and if necessary, rewrite the sentence to make the apropriate sense. - If you offer your help I'll take a look at your profile to see what you've been doing around the forums. - Don't be mad if you're not selected to beta test Helvetios. It's just 4 slots open, so, be comprehensive. - If I select you to beta test Helvetios, please, do it with passion and honesty. I'm making this game for you folks. - Again: The game isn't complete yet. I'm just selecting the people and when I finish the game, the beta testers will start to work. So, do you want to beta test Helvetios? Why? Wendell, I'd love to be a tester if you need more. 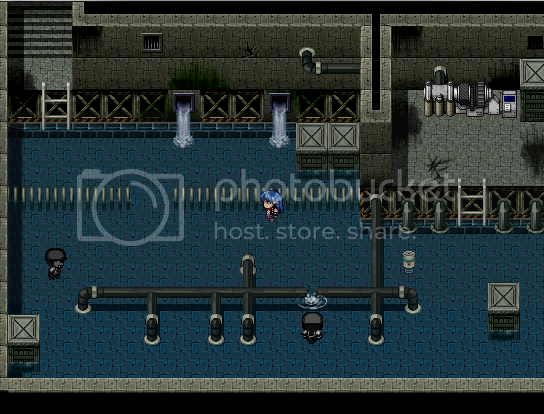 It's been a long time since I've had a chance to play a good sci-fi style rpg maker game. No worries if you don't need me, just offering up my services if you'd like them. I'd be happy to be put on the "If none are more qualified" list of beta testers. My reason is simple - I like helping. Well, looks like I have 2 slots filled already? Xyster and Galv, welcome to the Helvetios Beta Test Team! I've seen you guys around, I've seen your comments in another occasions and I'm sure you'll take this seriously. Thanks for your interest and your help will be so much apreciated. You guys know that the game isn't complete yet, right? I'm just fixing up the things and soon I'll send PMs to you, so, stay tuned and don't worry if I take a bit long: I'll contact you. There's two slots open yet! Damn, those remodeling pics look great, Can't wait to try this out! @pjcr: You've helped me with the huds before, now you'll help me as a tester ^^ Welcome to the team. @rgang: I can't wait for YOU GUYS to try it out! 1 slot open for text reviewer! @pjcr: Yes, but I want one just to focus on the text errors and not the gameplay itself to make sure that everything is alright. English is not my first language, so, some sentences must be rewriten the correct way. I want a complete feedback about all the texts, descriptions and everything else related to the texts. Of course you can do that as a tester, but I really need one to focus just in the texting. This is my first post here, but if you're willing to take a risk with a newbie, I would love to help out as a text reviewer. If not, that's OK too, and keep up the good work. Thanks for the interest @sixlies, but I have the team complete by now, I'm sorry, but I really appreciate your interest. Guys, Helvetios Beta Test Version is complete. I'm just doing a overall view and will upload it soon in the next few days, so, the testers can begin their work. Stay tuned. Guys, Helvetios Beta Test Version is complete. I'm just doing a overall view and will uplad it soon in the next few days, so, the testers can begin their work. Stay tuned. Lookin' foward to the completion of this. Keep at it, your doing great! @CT Bolt: Thank you so much for your support and interest in Helvetios! Stay tuned and thank you again for the support! Soooo... umm... how is beta testing doing??? PS. Excellent screenshot! Looks like it'll be fun. First of all: I'm sorry. Helvetios is ready to be launched EXCEPT the mini game mode that there's some maps missing. I can release it without the mini game soon, but if you guys want the version with the mini game you'll have to wait (I don't know how much you're going to wait) so, it's up to you to decide. Leave a comment with your opinion about this, it'll be so much apreciated. And once again, I'm sorry for the disappearance, but I'm back now! I hope your PC problems are not too bad. I know how that one goes... recently I put a new video card in mine, and I kept getting the BSOD, turns out it was the power supply wasn't high enough. I personally would like to have it released to me without the mini game maps. Maybe you could just PM me a private link? PS. Best wishes on your exams and enjoy the new house! I'll send you a link to Helvetios as soon as possible, without the mini game maps. Please report me if the link is broken, I'm having some trouble with it. So... has anyone downloaded the game? The link is working? Any problems, bugs and anything else, please report! Well.... With the upload host you're currently using you should register to be able to download the file. Maybe you should use mediafire the next time? I don't think some people want to register to download it. But that's all I found.